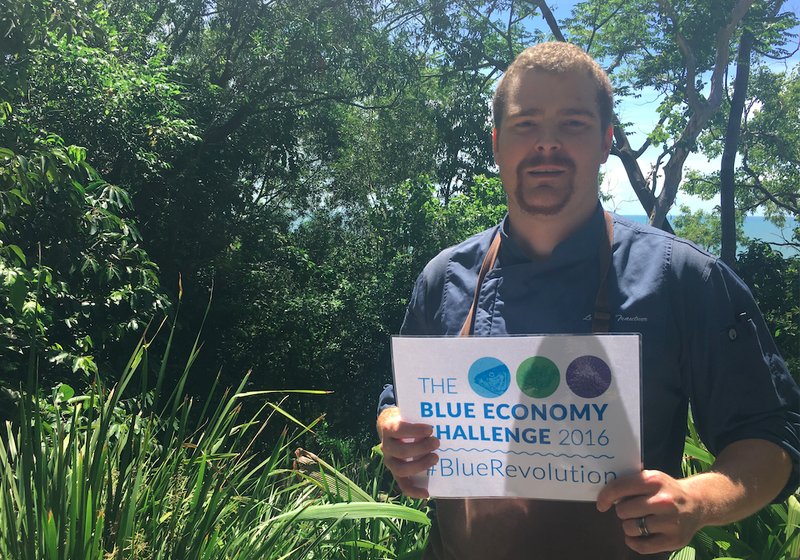 The newest chef to join our Blue Revolution campaign for sustainable seafood is Luukas Trautner, head chef at Osprey’s Restaurant near Port Douglas, Australia. Osprey’s is the ‘jewel in the crown’ of Thala Beach Nature Reserve, a resort comprising 58 hectares of mangrove forests, eucalyptus groves, and beaches. Trautner says he and his staff strive to work with local farmers to procure ingredients for their dishes. They also grow some ingredients, like coconut, on the reserve’s own plantation. “We’re an eco-resort, so this is really on the hearts of our owners, and on the hearts of our kitchen team,” Trautner says. To celebrate World Oceans Day, Osprey’s will serve local wild-caught baramundi with house-grown coconut, wakame seaweed, crispy nori, and tamarind chutney. Chefs and foodies from around the world are sharing sustainable seafood recipes as part of the the Blue Economy Challenge, a collaboration between the Australian government’s InnovationXChange, the World Wildlife Fund, SecondMuse, and Conservation X Labs. Tag your recipe #BlueRevolution to be featured. The Blue Economy Challenge is seeking applications for new ocean products that will expand the diversity, sustainability, and quality of aquaculture products. Find out more about the Blue Economy Challenge by visiting theblueeconomychallenge.com.